The other week some of my orders arrived including this one from Catherine’s Place. 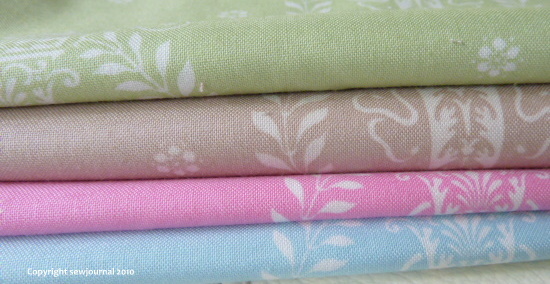 My French Hatbox fabrics and my Presencia Perle threads. Aren’t the colours lovely? 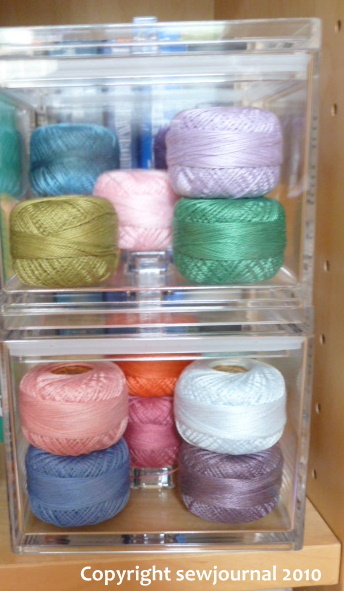 What do you use those fabulous threads for? I want to come over and play in those colors! 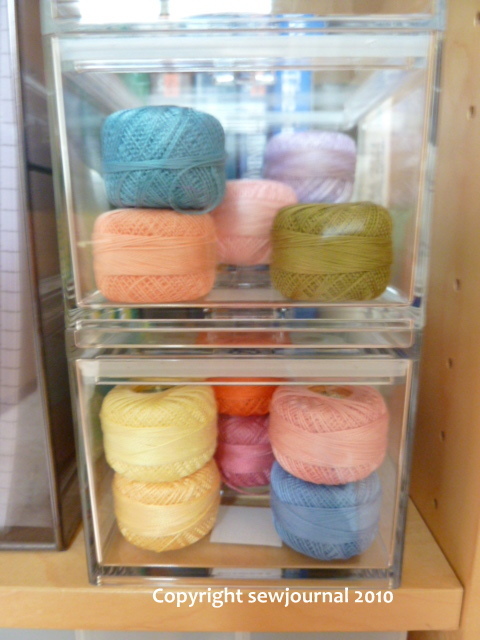 Oooh — those fabrics are stunning and the thread colours wonderful!